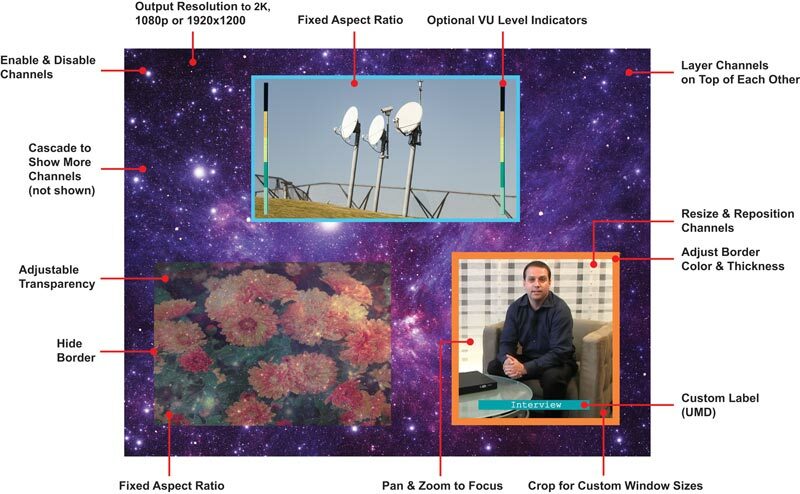 Inputs: 2K resolution 2048x1080, HDTV resolutions to 1080p, and up to 1920x1200 (WUXGA). Quad and Full mode: Ultra-HD 4Kx2K resolutions to 3840x2160 (60Hz) and 4096x2160 (60Hz), 2K resolution 2048x1080, HDTV resolutions to 1080p, and up to 2560x1600 (WQXGA). PiP and Custom mode: 2K resolution 2048x1080, HDTV resolutions to 1080p, and up to 1920x1200 (WUXGA).